The B Company 28 (NZ) Māori Battalion History Trust is producing a book of the stories and history of B Company and its’ soldiers from Te Arawa, Mataātua and Tainui. 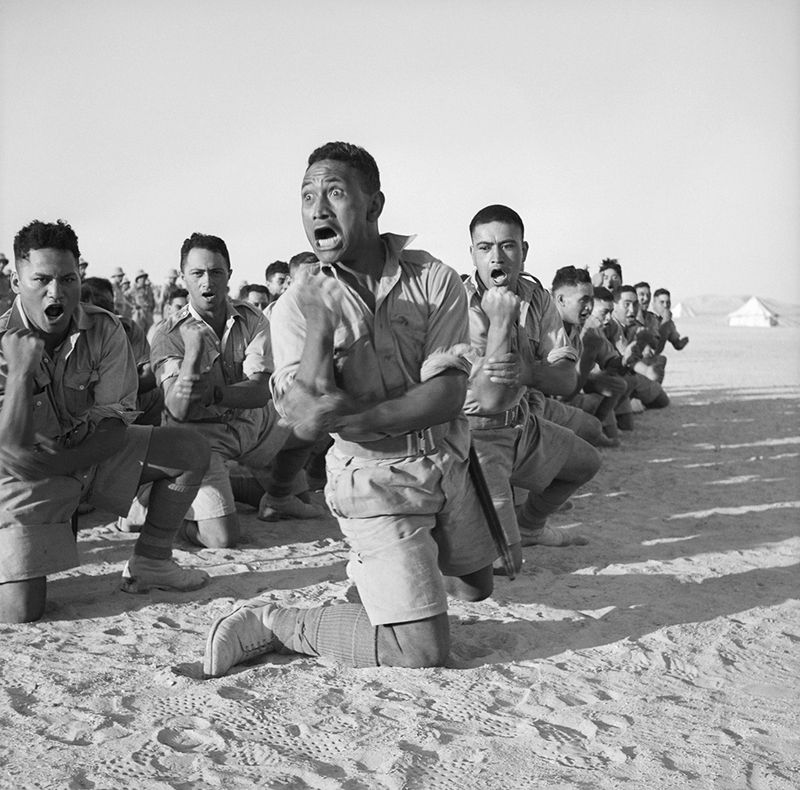 Entitled Forever Brave – Ake Ake Kia Kaha E – The history of B Company 28 (Māori) Battalion, the book is being written by Sir Wira Gardiner. With the publication date approaching the History Trust is searching for photos of 370 of the 990 B company members. Eleven of the remaining 370 B company members come from Raukawa. Are any of them your whānau? 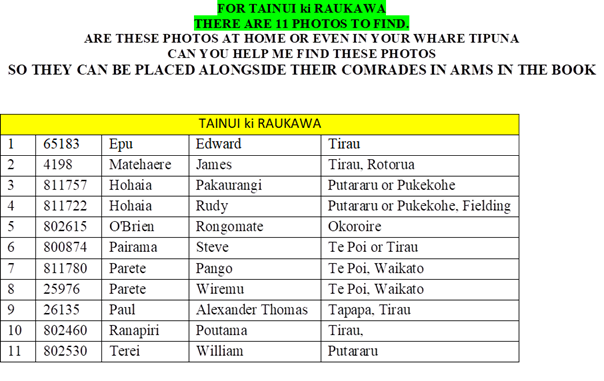 If you have a photo of any of these B company members in uniform or tidy dress as a young man, please contact WT (Tani) Wharewera by email.